Queen Beyoncé has released a series of straight gorgeous photos of her pregnant self, with some of them being set to music, AND IT IS GLORIOUS. There's not much to say: Except that you should be staring at these until tomorrow. Man, she makes me — a self-proclaimed "never gonna have kids" person — want to get pregnant. That is the power of Beyoncé. In further news, fans are speculating this might be a gender reveal teaser because they think flowers = girls. 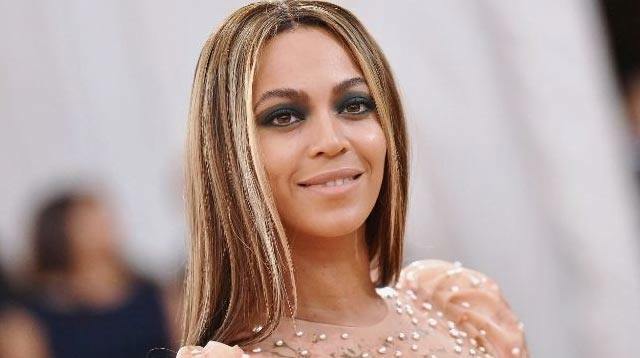 Bey has been known to tease us on Instagram, so it's definitely possible. Or maybe she just really loves flowers, because they're beautiful. Or maybe flowers mean boys. What does it all mean?!?!?! Well, while we ponder that, let's enjoy this sweet pic of Blue hugging Bey's belly. My heart can't handle it.